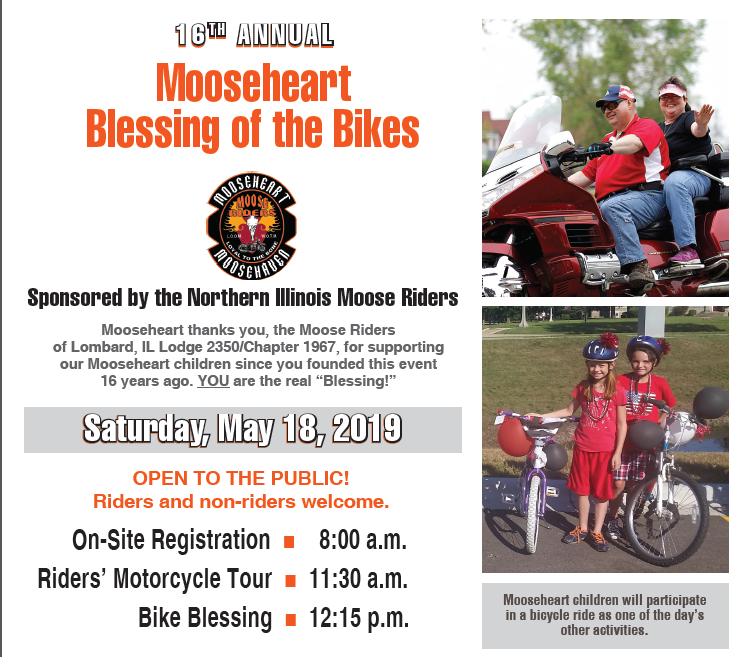 16TH ANNUAL MOOSEHEART BLESSING OF THE BIKES! The registration fee for the 16th Annual Mooseheart Blessing of the Bikes is $20 per bike. "Advanced Registration (includes refreshments, patch & blessing)" tickets cost $20.00, of which $20.00 is tax deductible. Make an additional donation to Mooseheart TODAY!